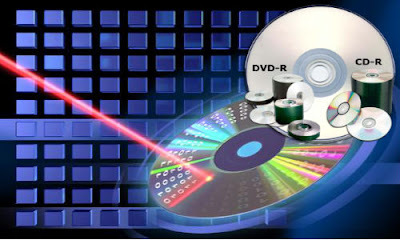 If you wish to write some data to CD/DVD from your computer, then your PC must have installed with CD-copy software. In Windows XP, it comes with a built-in CD-copy feature, but many people are not aware of it. Everyone will install their favorite CD-copy software in system. It is still good to know about this built-in CD-copy feature from Windows XP. If you doesn't have CD-copy software, and you can't just install your favorite software to system, you can use this built-in CD-copy feature to write some data to a CD/DVD or erase data from re-writable CD/DVD. In this article I have explained about the built-in CD-copy feature and how can you burn CDusing this. Step 1: Insert a Formatted CD into the CD drive. Step 2: Open "My Computer". Step 3: Select the files/folders you want to copy to CD and press "Ctrl-c". Step 4: Go back to the CD-ROM and press "Ctrl-V". At this time the files/folders will show like temporary files. Step 5: On the left panel select "Write these files to CD". Step 6: Then the "CD Writing Wizard" will appear with the default CD name. If you want, change the CD name and click "Next". Step 7: The "CD Writing Wizard" starts to write files to the CD. Step 8: The wizard will disappear after the writing process is complete. After this the CD-Rom will be ejected.